In 2017, when the Golden State Warriors won the NBA Championship for the second time in three years, the Bay Area exploded with excitement. The victory parade drew more than one million fans in their blue and gold to cheer and bask in the glory of “our” victory. The Warriors are truly one of San Francisco’s few beloved brands. They are respected and adored by men and women, young and old, in winning and losing seasons. People want to wear their colors, they know the players like neighbors, and they internalize the team’s struggles and celebrate its victories. This highly emotional connection is known as community branding, and is the envy of most brands. Are there business benefits of community branding? The W’s have sold out every home game for the last several seasons. The Warriors have become a major attraction for out of state and foreign tourists. Win or lose, W’s fans are behind their team in every way, emotionally and economically. How does community branding work, and how do you become a beloved brand? If we think beyond sports teams, what other brands can truly say they carry this esteemed mantle? Certainly many universities could make the claim – whether you are a Harvard Man or a Cal Woman, your alma mater is often a beloved brand worthy of your lifetime support. Other brands are a beloved part of their communities and even the world at large. 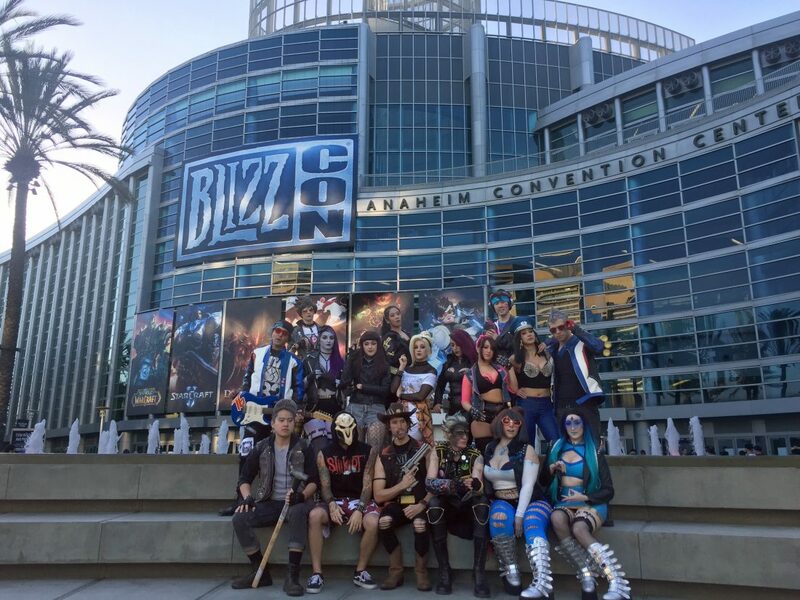 Blizzard Entertainment’s BlizzCon gathering is an epic celebration of their game universes and their communities. Some players spend months crafting elaborate costumes of their favorite characters. Coca-Cola energizes Atlanta GA; the NYFD has become one of New York’s most beloved and respected brands, (beyond its sports franchises); Disney is a beloved brand trusted by families and their children around the world; and Chevy and VW have captured our imaginations and elevated our pulses more consistently over time than other car brands have been able to manage. What do these community brands all have in common? Each satisfies a universally human motivator. Sports teams ignite the thrill of victory. The Fire Department embodies bravery and valor. Beloved consumer brands provide happiness and escape. These motivators are deeply and universally felt and part of our shared human experience. Brands that are successful enough to become and remain beloved are those that most consistently address, and fulfill, these instinctual needs. They become a part of how we define ourselves. Culture Drives Brand Value – Where Will It Drive Yours? I recently published an article in Inside Higher Ed describing five strategies of great brands, and how they apply to universities. One of those five strategies is: brand inspires behaviors – you build a brand by being something, and letting that culture shape the way you behave and communicate. A successful brand strategy must lead to tangible behaviors, ways of thinking and acting that can differentiate you and your company in measurable ways. Consider FedEx, Southwest Airlines, GE, and other brands that have become legendary for their corporate cultures. They all recognized the importance of defining and articulating not just their customer promises, but their internal behaviors for fulfilling those promises. Customer satisfaction and business success are the rewards that reinforce these behaviors, creating a cycle of growing brand strength. With this attitude, it becomes evident why Salesforce is one of the world’s fastest growing companies, and is ranked among the “best places to work” wherever it has offices. Compare Salesforce’s results, and the brand benefits they accrue, to recent events at United Airlines and Uber. These two companies have dominated the news cycles lately, for all the wrong reasons. Within each story is a tale of bad behavior and poor choices, revealing crippling or even toxic corporate cultures. People who describe these woes as “PR problems” aren’t dealing with the core issue, the deep cultural flaws that threaten the very existence of these two companies. When United loses $1Billion of market valuation in one day and Uber has over 200,000 customers deleting its app, that threat is clear and present. These companies need to focus on their cultures at all costs, or they will lose any customer loyalty that remains. We hope that more companies will take a close look at what promises they really want to make to their employees, customers and shareholders, and what those promises mean for how they act, speak, and treat each other – as well as their customers. 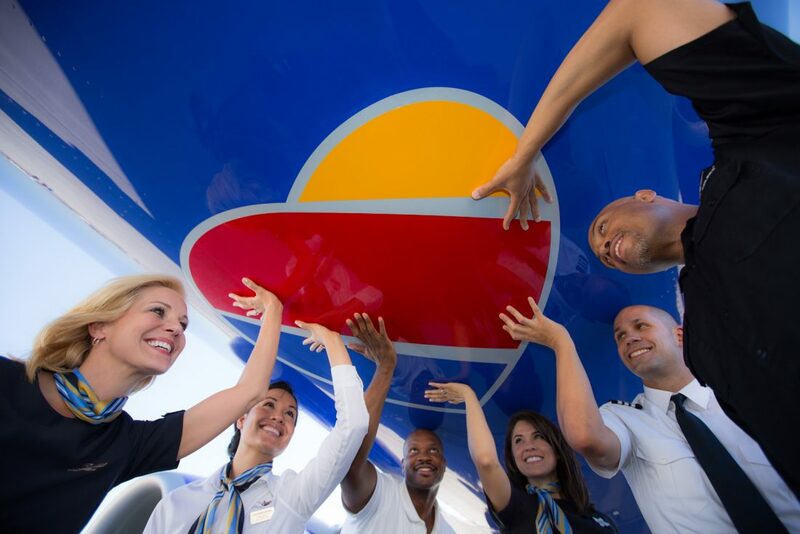 Iconic, customer-centric brands like Salesforce and Southwest show strong evidence that placing a priority on building and living a positive culture results in loyal customers, healthy companies and strong brands. Can thinking strategically about brand identity translate into bottom line results? Our experience is that it can. The benefits of identity projects—such as greater employee satisfaction, increased clarity of purpose and a stronger culture—have been shown to correlate with improved corporate performance. Some authors have suggested that these cultural aspects can account for a difference of 20% to 30% in corporate performance. But what’s the real reason underpinning all these efforts? Simple. Companies want to increase sales. They want to increase profits, shareholder value and market capitalization. Our clients understand that by working on identity they are actually addressing their bottom line. So how should you look at the potential ROI of identity work? The long-term ROI of communications efforts are hard to quantify. But by clarifying what the company is and what people can expect from it, identity strategy has the potential to engage and motivate employees as well as capture the attention of customers, shareholders and funders. For example, we might have a client with $10 billion in sales who is currently suffering from numerous symptoms of identity problems: The company isn’t well understood, people aren’t attracted to it, employees aren’t happy and leaders are spending so much time putting out fires they’re not able to set a course for the future. We go in and fix that. Now everything’s firing on all cylinders and there’s a new excitement about the company, its products and services and its people. This new energy and shared purpose takes the management burden from executives, freeing them to lead. Employees require less management, because the company’s purpose is clearer and what’s required of them is better understood. From a change like that you might expect anywhere from a 1% to 10% increase in sales. But even a one-tenth percentage point increase in sales will be a return of $10 million in added revenues every year. I believe there’s nowhere else that you can get return like that. Legendary investor Warren Buffett buys companies with strong identities for a reason: They represent a future stream of revenue he can count on. Identity is an investment that pays multiple dividends.